The hot dog — it is such a simple thing, and everyone loves them. For me, I always liked it simple. A nice steamed bun, good quality all beef dog, and a little bit of mustard and onions – simple and delicious is all I needed. No ketchup please. 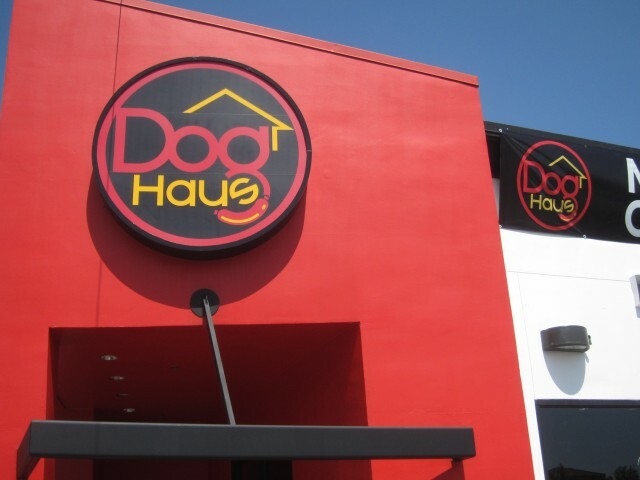 Once I met Dog Haus in Alhambra, it all changed. I realized, new waves are coming through and my old school classic hot dog combination was no longer king. 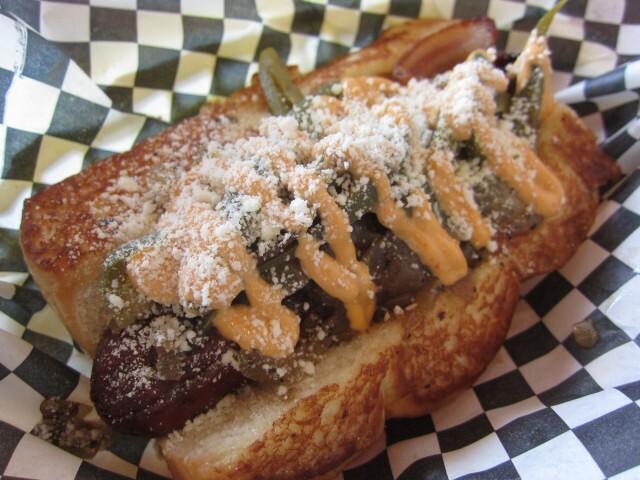 Dog Haus makes some crazy creations with both their hot dogs and burgers. Burgers being a close cousin to the hot dog, it was naturally an item on their menu. 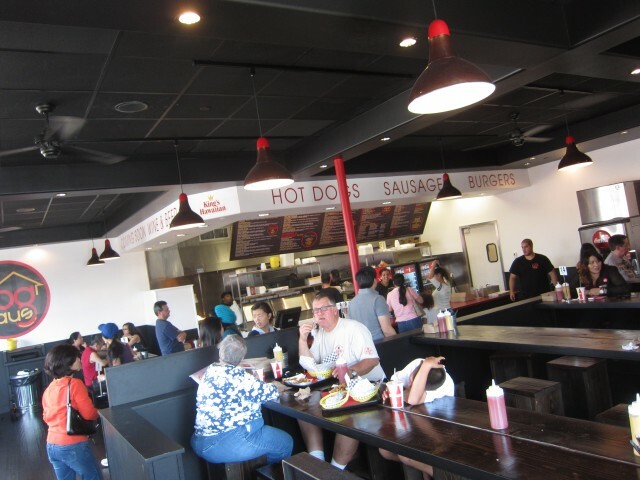 The best part about Dog haus is that their hot dog and hamburger buns are all made from King’s Hawaiian bread. Genius! The familiar bread rolls mixed with awesome ingredients make for good eats. My whole life, all I knew was mustard and onions. Dog Hauses Old Town Dog changed my life and it changed the way I see hot dogs. This massive thing had a bacon wrapped 1/4 lb. dog, caramelized onions, sautéed spicy peppers, chipotle mayo, cotija cheese. Not only was it large in size, it was huge in flavor. The bacon wrapped hot dog was so LA, and so delicious. Smothered in caramelized onions, and spicy peppers, it had a nice crunch and bite to it. The chiopotle mayo gave it a nice smokey flavor and the cotija cheese was a nice touch in my opinion — it gave it that nice salty flavor and made everything perfect. Put blue cheese on a burger, and call me happy. Add bacon on top of that, and you own me. The Blutarsky hands down has to be the best burger they offer. It’s not on their regular menu yet but I hope they put it on the menu permanently — this burger is bomb, my favorite Dog Haus burger hands down. I’m just a sucker for blue cheese, maybe that’s why. 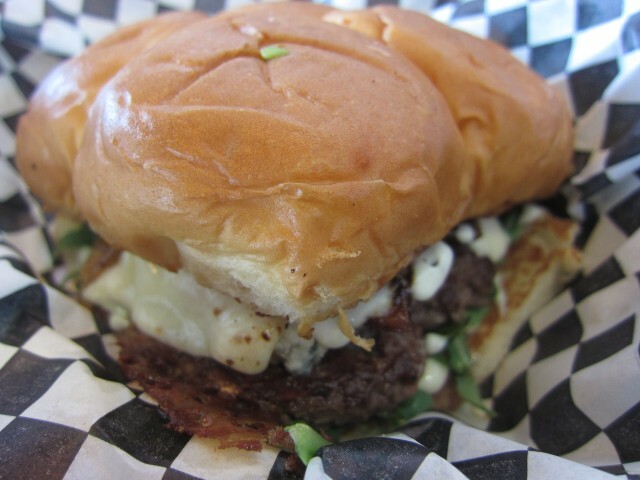 But this burger, with the patty, bacon, bleu cheese, and arugula, it has a great flavor. 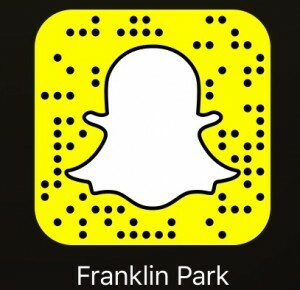 DO TRY. Blutarsky from Animal House, John Belushi’s character had a lot to do with this thing I suppose. Nonetheless, if you are a blue cheese fan, and a bacon lover, and just a fan of a good burger, get this one. At Dog Haus, you can kind of guess that they like to do things a little different. They have fries, but why get regular fries when you can get tater tots! Yeah. Remember those yummy little nuggets of crunchy, greasy potato clusters? They got those! You can even put them in your pocket and eat them later (Napoleon Dynomite). 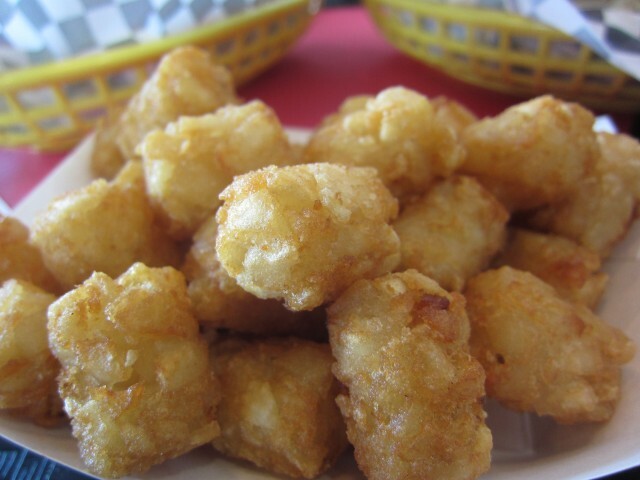 All kidding aside, the tots were too reminiscent of elementary cafeteria days that they were impossible to dismiss. They were crunchy and crispy. I even dipped it in ketchup, and I’m not even a fan of ketchup. I guess holding onto that memory as a kid was more important. Dog Haus is an awesome spot. Their food is familiar done in a radical and new way. I mean, the King’s Hawaiian buns are amazing in it of itself. The flavors are on point and the price is just right. Come here for exactly that — the Blutarsky, Old Town Dog, and tots. What more can you ask for?